Every Filipino, here and abroad, most likely know this song, which talks about our beloved country and the longing to be there. Composed and sung by brothers Rene and Dennis Garcia of the HOTDOG band, this song has become the “national anthem” of Overseas Filipino Workers (OFW’s), which makes them sing along to it, makes them stand up and dance to it, and makes them, our hardworking OFW’s, homesick and yearning to be with their loved ones. And so Hotdog makes us feel nostalgic once again with their benefit concert entitled HOTDOG… Isa Pa Nga! On Sunday, October 28, 2012 8pm at Dusit Thani Hotel Grand Ballroom. Their two hour nonstop concert will celebrate Original Pinoy Music, including their very own classic hits PERS LAB, IKAW LANG ANG MISS UNIVERSE NG BUHAY KO, BONGGA KA ‘DAY, BITIN SA YO, and many more. Their memory-tripping concert will gather most of the original Hotdog members, who have since gone on to lead their own professional lives – aside from Rene and Dennis, there will be drummer Jess Garcia, vocalists Gina Montes, Maso Diez, Joy Rivera, Rita Trinidad, and another former Hotdog member, crooner Arthur Manuntag. The concert is for the benefit of the cancer-stricken children under the care of the Undying Wishes of Pinoys, Inc, formerly United Way Philippines, Inc.
Let us continue to support Filipino music and artists as Hotdog promises to make us feel proud Pinoys as they pay tribute to OPM with this concert. Tickets are available at the Dusit Thani Hotel or thru 5430678. 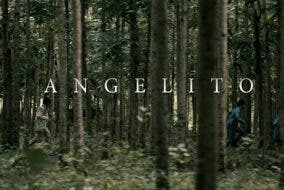 You Can Soon Stream Jerrold Tarog’s “Angelito,” the Spinoff to “Heneral Luna”!